This is a really collage effect that you can create using a bunch of different photos, and most people won't believe that you did it in PowerPoint (it's that cool). The key is importing a bunch of your own images and knowing how resize and crop them to the exact size with just a few clicks to form the backdrop of your picture collage (or photo mosaic). 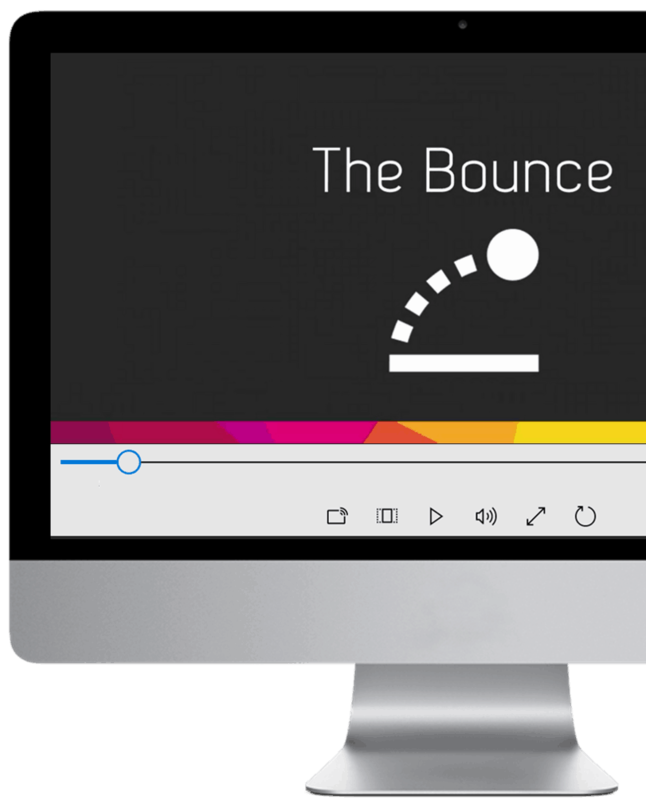 For this trick, I’ve teamed up with Taylor, the KING OF SPEED, to show you how to do it insanely fast by using a PowerPoint feature backwards (what Taylor calls Power Cropping). If you want to follow along and build out this picture collage yourself, you can download the working files here. Download the working files here to follow along and get started with this cool photo collage trick in PowerPoint. Let's learn a cool new faster way to make photo collages, or photo mosaics, in PowerPoint. Now I showed you this trick before several years ago in that you can see in the video below, but I haven't actually used it often myself because it was such a labor-intensive process. ​​​​​You had to manually crop all your photos and manually align them as well. You could still get a great result, but it was definitely a labor of love. Then I was shown how to do this much, much faster by Taylor here at Nuts & Bolts Speed Training, whom I've been collaborating with for several years now and who is a genius at finding time-saving tricks in PowerPoint. ​And with a shortcut, he's shown me I can now do the photo mosaic with over fifty photos quickly and easily. I've actually invited Taylor himself to jump in here now and demo the shortcut. Then, I'll go ahead and finish the effect myself. Because Taylor is the King of Speed, he does tend to talk pretty quickly, so if it's too fast, feel free to turn on the captions. So, take it away, Taylor! ​Hey! This is Taylor. I'm going to show you how to crop and resize all these photos - big ones, little ones – I think I have fifty-six different photos here – into something like this. This is that backdrop for the photo mosaic, the piece by with I’m going to show you how to do some magic within just a second. ​And the answer here is what I like to call Power-Cropping. So, starting with a blank slide, go to Insert Tab, then Pictures, and then you navigate to wherever you have all the pictures on your computer. I have mine here. I’ll hit Control + A to select all fifty-six different photos, and again, you don't want to start cropping and resizing these manually. That's going to take you forever! So instead, let me just zoom out, hit CTRL + A to select all your photos, navigate up to the Picture Tools Format tab, navigate to the Picture Layout drop down, and watch what happens as I start to hover over these different SmartArt graphics. ​PowerPoint takes all of those photos and crops, resizes and positions the photos for me. And specifically, for this photo mosaic trick, you want to focus on this Picture Lineup layout. Notice that if I come to one of these other ones, you get a bunch of space in between the photos. We don't want to have to mess around with that at all. This picture lineup will set them side by side even though it looks super miniscule here. Once you pick that layout, hit CTRL + SHIFT + G once, then twice for your computer to ungroup the graphic. You then want to select the photos. I’ll hit CTRL + X to cut them so I can delete all this other SmartArt stuff away, then resize my window to fit to screen. I’ll hit CTRL + V to Paste them. I'm going to group them, and I’m just going to set these up at the top of my screen really quick. ​And I'm going to resize them, like that. And notice if I just Ctrl + Spin Wheel to zoom in, we have all of these picture outlines. We don't want those, so simply select the photos, come to the Drawing Tools Format tab, come find the Shape Outline and just select No Outline. If I just hit Shift + F5 right now, you can see we have the top row there of the photo mosaic. ​My computer is already starting to bog down because I now have hundreds of photos on my screen. This is what you don't want to do. This is kind of that photo mosaic trick, but you basically have a repeating pattern, so we want this to be randomized. So, the question is: How do you make this randomized, or not so apparent? What you want to do instead is – I'm going to delete all of these photos, and I'm going to cut this, and I'm going to CTRL + V to paste. Open up the Ctrl + Spin Wheel and paste a picture. This will make it much easier to work with for your slide. So, the way we're going to randomize this is what I call the Tetris Technique. You're just going to take your line of photos, and you're going to set that line of photos up right next to the first line of photos, so it looks like this going across your slide, and I'm going to group them. ​All you’re going to do to randomize is just CTRL + D to duplicate and just start to spin this. PowerPoint will help you. Snap this, and I'll do a couple more for you. Now I will just speed this up. You're really Tetrising this around, just like the game Tetris. All the way down. I’ll just speed up the screen. So, this is what you're going to eventually end up with, like that. We don't want to start here, so I’m going to hit CTRL + A to Select All. I’ll hit CTRL + X to cut and CTRL + V to paste. I’m going to again paste as a picture which should make it easier on our computer. You’re going to get this photo of all your little pieces, and you're simply going to resize it so that it fits again on your slide to cover up all the white space. Like that. Picture Tools Format tab, Crop, we're almost done. I'm just going to crop this photo down to our white slide space. Shift + F5 to double check my work and boom! There’re hundreds of randomized photos to use as a backdrop for your photo mosaic in the tenth or twentieth of the time it would normally take you. 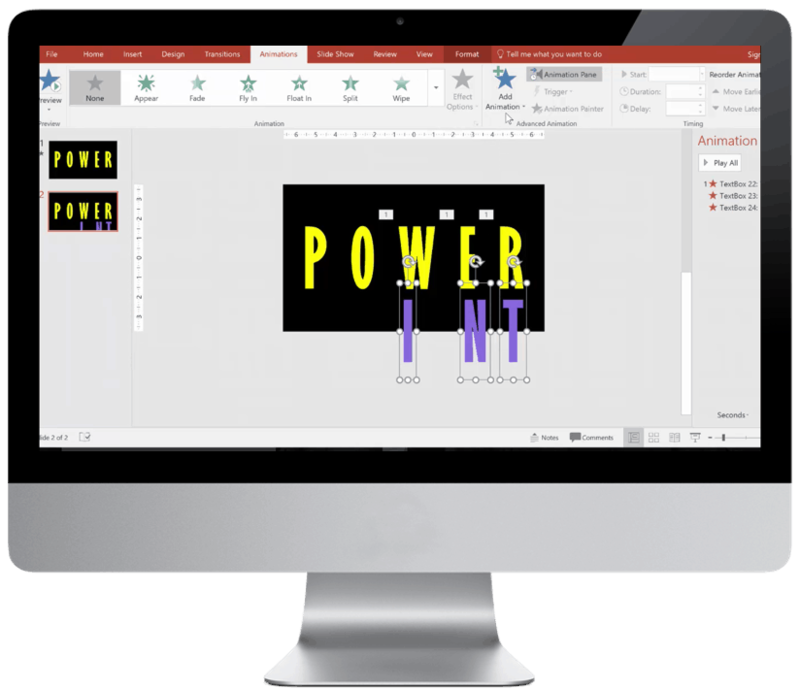 Before I pass it along back to P-Spice, if you want to learn a bunch more speed training tricks like this for working smarter in PowerPoint, check out the links below in the description box. And yes, for more free tricks like this from Taylor check out his free many courses to help you save over forty hours in PowerPoint and of course his YouTube channel PowerPoint for Business Professionals, all listed in the links below. So, let's take this background that Taylor has made and finish up the effect. For this, we will need the overall picture that will use, in this case, the tiger. First, you have to resize the image to fit the slide. So, we stretch it to fit horizontally, then we go to Format, Crop and crop it here like this. Now we put this off to the side; then we insert a rectangle in here. And make it the same size as the slide. And then take out the outline. Next, we cut the tiger image by hitting CTRL + X, then paste the tiger in here by clicking on this shape, then going to Format, Shape Styles, Fill, then Picture or texture fill, then Clipboard. Cool. Now the tiger is in here. And what's great about doing it this way is that now we can change the transparency level. So, let's move this to about 50% and then you can go up or down to see what you like best. More transparency obviously means you see the individual photos more but less of the overall picture. So, get it to where you like the balance. I did 45% for this one, since I wanted the tiger to be pretty visible. After this step, we want to blend the photos a bit more, since it's all kind of washed out here. So, we select both of these pieces, and hit CTRL + X. Then right-click and paste as a picture so that they're one layer. Now we have to adjust the brightness and contrast a bit. So, go to Format, Corrections then scroll down to Picture Correction Options. Now you can adjust both brightness and contrast as you like. I just did a 40% increase in contrast and didn't really mess with the brightness, but you can certainly do so for your picture if you need to. You're all done, and if you zoom in here, you can see all of the individual pieces too. They do get blurry if you zoom in too much, but if you want them to retain quality, just don't paste it as a picture when you're lining them up, like Taylor showed you. Just use the images straight from the SmartArt. This will preserve quality, but it will also majorly slow down your computer because of all the data that has to be stored. So, you might want to use larger photos in that case. And by the way the tiger image was purchased from Shutterstock since I really liked that particular tiger. 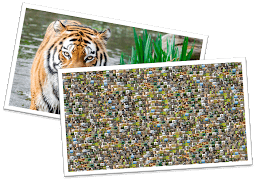 However, you can get a free tiger image from FreePik.com which is included in my free download set in the description link as well. And as always, my full slides will be added to the Spicy Slide Pack, which has my other video slides too. Check out the description for all of this awesomeness. And finally, I just wanted to note that the Power-Cropping Technique is not only great for the photo mosaic trick but for any time you want to crop and distribute any group of pictures like for a team slide like this. And if you need to re-adjust a crop on any of the pictures you can easily do so as well. Great. Well, that brings us to the end of the video. Check out my other videos too if you like this one and of course check out Taylor's other free tutorials as well, as well as his YouTube channel. So, thanks again for watching. Where should I send these files, so you can follow along and use them in your decks? They're 100% FREE.